FinTecSystems, Fidor Bank and credit comparison site Smava have teamed up to offer the “first fully” automatic credit system with an “immediate payout” in Germany. Called Kredit2Go, the entire process of requesting, processing and disbursement is digital, and the payment is made immediately after the digital signature. FinTecSystems provides the “building blocks” for the credit assessment with its digital bank account. 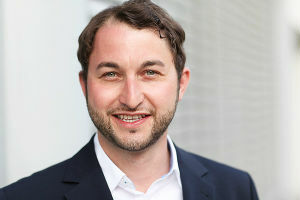 Stefan Krautkrämer, CEO and founder of FinTecSystems, says with Kredit2Go “end customers can complete a loan within a few minutes and have the money quickly” and with its digital bank information, it can “ensure the decision-making process through the credit approval by the lending bank can be shortened enormously”. The borrower uses his/her traditional online banking access data within the application path, and enters the login name and PIN on Smava’s Kredit2Go platform after selecting their bank (via bank code or bank name). FinTecSystems identifies and categorises the transaction history of the consumer; and Fidor Bank is provided with real-time and online reports of the creditworthiness. Munich-based FinTecSystems was founded in 2014 by Krautkrämer and Dirk Rudolf, and specialises in automated financial analysis based on online banking data. It says its products can be used by bank customers in Germany and Austria. Last year, SKG Bank, the consumer finance arm of Deutsche Kreditbank (DKB), unveiled a digital-only lending and consumer credit service in co-operation with FinTecSystems. Online-only bank Fidor has launched in the UK, promising to change the way retail banking works by letting the customer build the services and products they want to use. The bank is part of a new wave of fresh banks entering the market, many of which focus their efforts online rather than on the high street.